I also get my eggs from the farm. 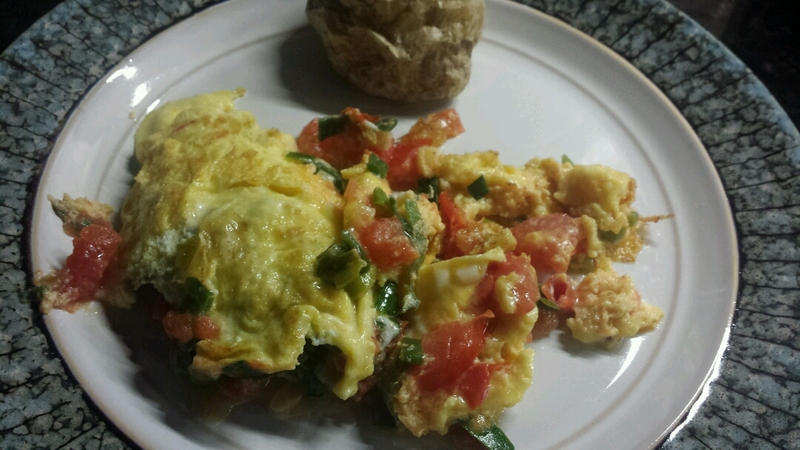 This omelet is loaded with roma tomatoes and green onions. With all the great veggies, I make omelets more in the summer. Recently, we had some extremely hot days. Although our place is air conditioned, I didn't feel like cooking or like eating a heavy meal. A hearty salad was perfect. I start the same as one of my usual salads, but more of it. 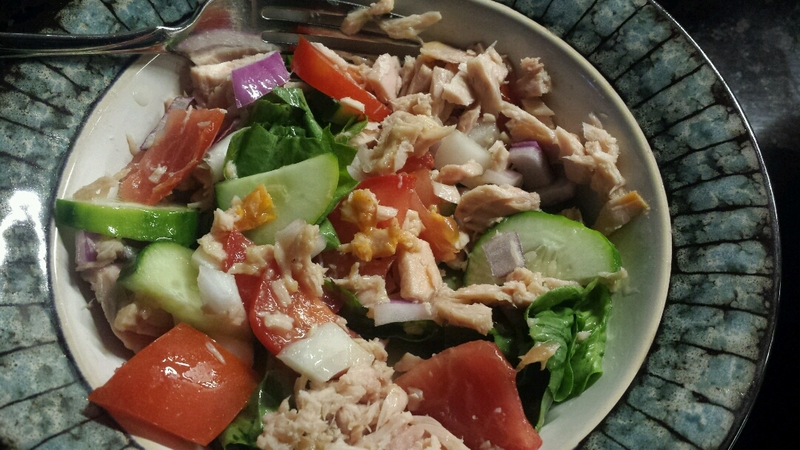 Then mix in tuna. This week, I tried something different with corn. 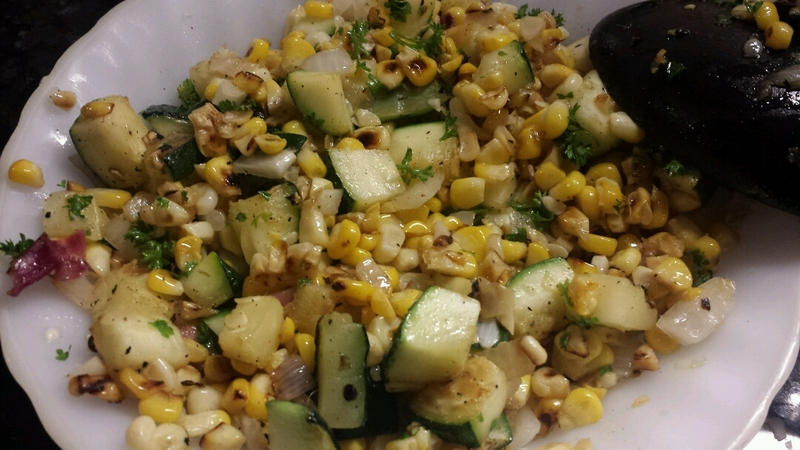 Skillet-seared corn and zucchini. There's also garlic, fresh herbs, and a splash of lemon juice. The cheesecake is store-bought. 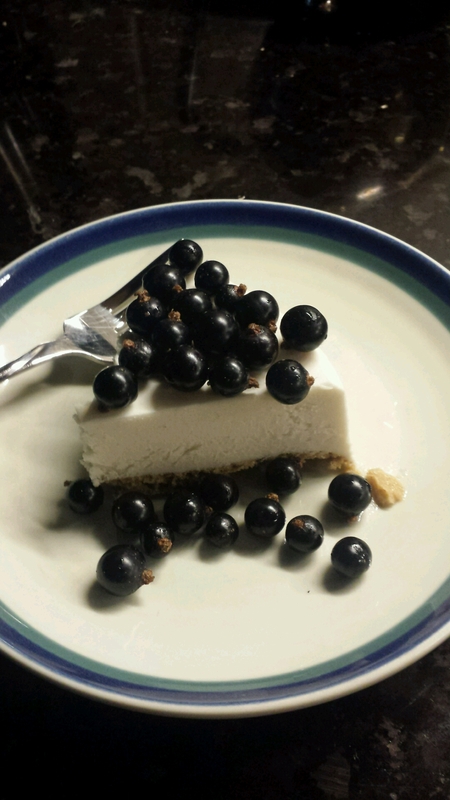 I topped it with black currents. It's a lime cheesecake; the tartness of the cheesecake plays well with the sweetness of the currents. Mmmmm...that all looks so good.